Students: Don't miss this extraordinary opportunity to join our NEW, free sports program! 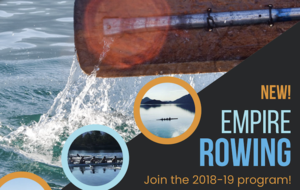 Moreno Valley Unified School District in partnership with Empire Rowing would like to invite middle school students, high school students, and parents to come out to Lake Perris on Saturday, November 10 to learn more about this FREE partnership sports program and a get signed up on location! For more information, please see the attached flyer below, contact your school site or the MVUSD Secondary Education Dept. at (951) 571-7536, and/or visit empirerowing.com .